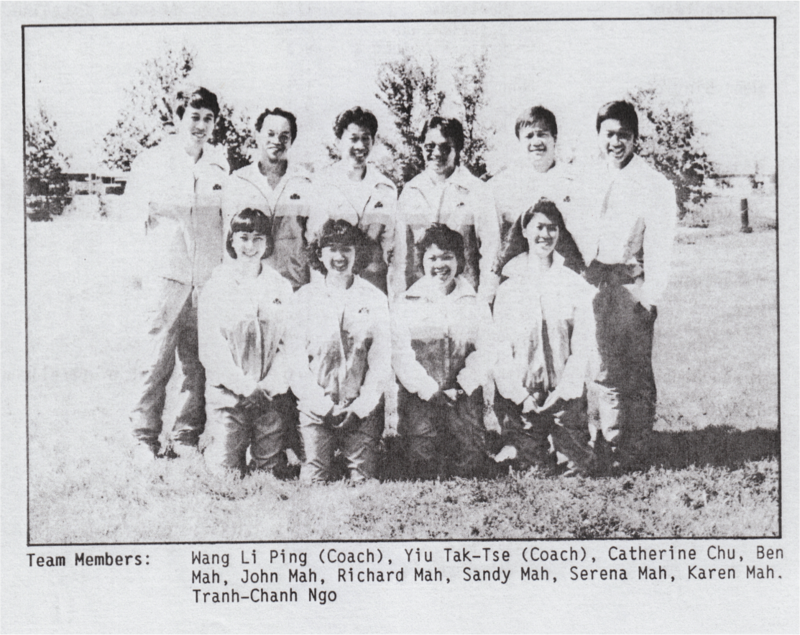 that our club’s coach, Wang Li Ping shaped the career of two Olympic athletes? Coach trained his daughter Wang Wen Xiao (‘Xiao Xiao‘) from an early age. She went on to become the 1998 North America Junior Singles Champion and represented Canada at the 2000 Olympic Games in Sydney, Australia. To introduce the other Olympic athlete, a bit of background. 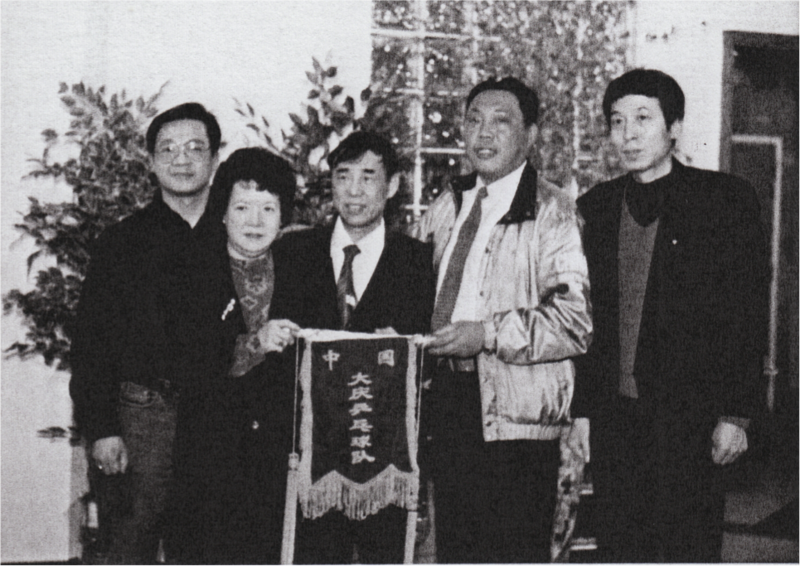 It was 1980, Coach’s sixth year as a coach on the People’s Liberation Army (PLA) table tennis team. 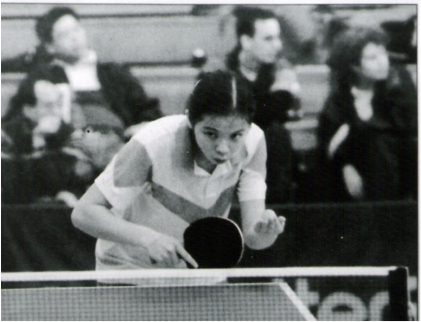 That year a 13 year old by the name of Wang Tao was recruited to the PLA team and for two years Coach guided the early development of this table tennis prodigy. Wang Tao went on to have an illustrious career representing China. Notable achievements include China Men’s National Singles Champion, Olympic Gold Medal in Men’s Doubles (1992 Barcelona) and Olympic Silver Medal in Men’s Singles and Doubles (1996 Atlanta). You can check out Wang Tao in action at the 1996 Olympics in Atlanta, where he battled Liu Guoliang in the Gold Medal match. You can also check out his matches against legendary European players Jorgen Persson and Jan Ove Waldner. For a pop culture reference, in season 4, episode 8 of the hit tv series The Office, Dwight Schrute lists Wang Tao amongst his many heroes in life. These days Coach is busy at Edmonton Table Tennis Club (ETTC) conducting individual lessons four times a week, running an adult and youth group training program and walking around observing and giving out pointers on proper technique. If you’re interested in taking lessons from an accomplished professional coach, join us. [UPDATE – December 26, 2014] From our archives, here are two photos of Coach Wang from his days as a coach with Team Alberta in the 1970’s and 1980’s. In this photo, you will notice current ETTC member Richard Mah was on the team as well as his brother (Ben) and sister (Sandy). This photo was taken in the mid 1980’s when the general manager of a professional city table tennis team from China visited Alberta. Coach Wang was part of the host group. This entry was posted in Our History and tagged Alberta, Athletics, China, Edmonton, Fitness, Ping Pong, Recreation, table tennis, Wang Tao. Bookmark the permalink.